RETURN POLICY: This product is in guaranteed working condition. If for some reason you are unhappy with your purchase notify us within 15 days after you receive the item.All returned items must be in their original condition and packaging.Unfortunately, we cannot take returns of products that have been (dis-)assembled or modified. 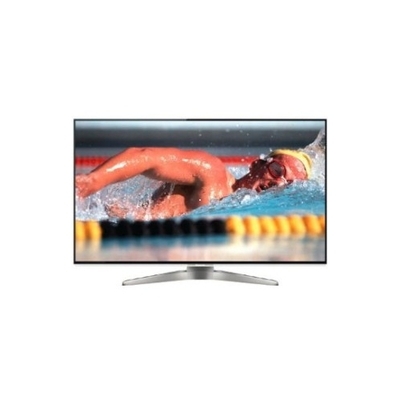 www.saleholy.com The state-of-the-art design WT50 LED-LCD series features the 3D IPS LED Clear Panel Pro panel, 1080p resolution, 3D Real Sound with 8 train speakers, and a beautiful, super narrow metal frame with crescent stand. It also comes with a touch pad remote controller so that you can easily navigate the screen. Clicker - Video on Demand Cross Searching Find your favorite movies and video content easily with one-step searching, which allows you to cross search from multiple VOD services. For ease-of-use, use the quick keyword input on VIERA Connect to help retrieve your desired content faster. Customize your screen by grouping commonly used apps and displaying them on the screen for easier use.